Travel insurance will protect you, your family, your belongings and health when travelling abroad. Don't let anything spoil your fun - holidays should be a peaceful time, not a time to be concerned with potential issues. With holiday insurance policies you are covered for lost property, delayed travel times and any medical care you might need. If you travel around the world, be it for the business or leisure, family or pleasure, you probably know about travel insurance but aren't sure if its beneficial to you. 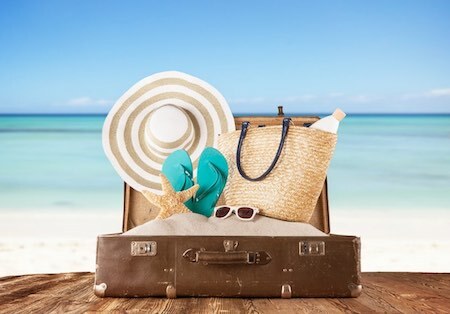 Read our thorough guide to understand the importance of travel and holiday insurance, how it might help you and if it's right for you. Insurance that covers you while you are travelling. Whatever your reason for going abroad, travel/holiday insurance is designed to provide cover if something goes wrong while you’re far from home. It is ideal for giving you peace of mind - whether it’s providing financial support to help you pay for medical treatment, getting you back home quickly, or replacing stolen money. Keep reading to find out more about how travel insurance works, where to get a quote, and whether it's the right choice for you. Any medical bills you have to pay while abroad (not including any treatment for pre-existing conditions) up to a fixed amount. Getting you home should you fall ill, or in the case of an emergency (aka repatriation service). Having to cut your holiday short or cancel it due to certain unforeseen circumstances. Your personal belongings getting stolen or lost during the trip. Any flights that are delayed by more than 12 hours. Dental emergencies (though not all insurers offer this). Many insurance policies also offer an emergency helpline, available 24 hours/day in case you need assistance. You can also take out personal liability cover, which covers the legal costs of any damage or injury you may accidentally cause on your trip. Trip cancellation due to mental conditions - including depression and anxiety. Potentially dangerous activities, such as some winter sports (although coverage for extreme sports can sometimes be added to your policy). Damage or loss resulting from riots, terrorism, and war. The cost of injuries you sustain while working during your gap year. Certain expensive items, such as gadgets, designer clothes, and sports equipment. Also consider, some providers have an age limit for those they’re willing to insure. This figure can vary but usually ranges from 75-80 years old. However, there are still plenty of insurance providers out there who won’t have a maximum age limit. Single trip. Ideal for a one-off holiday, especially if travelling internationally isn’t something you often do. Annual multi-trip. This type of travel insurance covers you for a year, allowing you to travel multiple times throughout the year with the same insurance policy. However it’s worth noting, you’ll have to declare the destinations you are planning to travel to during this year in order for those trips to be covered. Backpackers insurance. This will cover you for a longer period of time, across multiple destinations globally and is often taken out by those having a gap year.. The next decision you have to make is whether you want coverage for destinations worldwide, or for a policy that only covers specific areas, such as Europe. With some insurance providers you do have the option of taking out domestic insurance, for trips within the UK. However, it’s worth noting that this is considerably harder to find. Who you’re travelling with can also have an impact on the type of travel insurance you choose to take out. You can cover yourself alone, or look into getting a family travel insurance plan for the whole group. It depends, the quotes you get will vary depending on the policy you choose. For example, the average policy for a single trip will typically cost someone under 25 less than £10. However, the same policy could cost someone travelling in their 80s, over £35. What you’re doing when you get there. You may need to pay extra for coverage of certain activities, such as extreme or winter sports. The amount of cover you’re taking out. Any additional coverage such as gadget or business equipment cover will noticeably increase the cost of the policy. The length of your trip. The cost of medical treatment where you’re staying and the flights home can affect the price of insurance. Your health. Any pre-existing medical conditions are not usually covered, or if they are will come at an increased cost. Who are the top companies offering travel insurance in the UK? As soon as you’ve booked your holiday. Many insurers provide coverage should you have to cancel your trip after you’ve booked, but before you’ve left, and you won’t want to miss out. What are the alternative options available? Will there be a language barrier that could cause problems? Does the country you’re visiting offer free health care? Could someone at home send you money in the case of an emergency? It depends where you’re travelling. There is no legal obligation for anyone to take out travel insurance when they leave the UK, but some countries ask for proof of insurance before you’re allowed to enter. So it’s something worth checking out. Even if you’re travelling to a destination which doesn’t require insurance for travel, the cost of medical bills will far outweigh the cost of insurance if you fall ill or get injured. Therefore, the best idea is to look at your travel insurance options and get a quick, accurate quote before any trip. Ready to get started? Click the link below and we’ll find you the best travel insurance quotes instantly.